The drum is perhaps the oldest instrument in the world and one of the earliest means of communication as it derives from our very own heart beat. When we think of Africa, we often think of drumming. Mr. Sosthenes Kwesi Nunyapke, or “Uncle Kwesi” was born in Ghana and raised in Togo with parents from both countries. 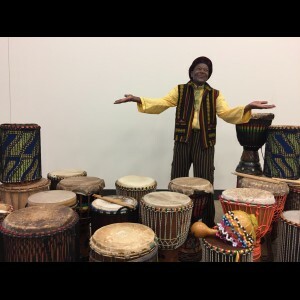 He moved to the U.S. in 1966 and has been teaching African drumming for decades. In this vibrant class, students will learn about drums such as the kenke.. 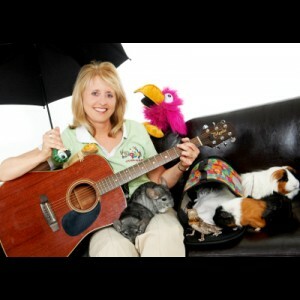 Animal Antics - Your children will love the balloons, juggling, magic tricks and silly songs that Randy shares as he talks about a tiger with too many tails, a giraffe with a sore throat, a puppy who needs to learn to obey, and other exciting animals! 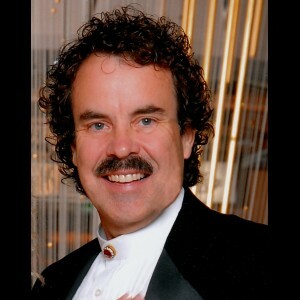 Bio: Randy Christensen is a professional entertainer and speaker known for his creative and inspiring presentations. As a variety artist, Randy has presented programs for over thirty years for schools, churches, businesses, confer..
Students will look forward to an amazingly fun time while building the skill set to hold balancing postures with one or more of their peers. The art of balancing with a partner also teaches the importance of communication through a creative process. While being creative, cooperationis intrinsically understood as it is essential to achieve a balanced state. The curriculum is progressive and the class will end with a performance by two of the the most highly skilled body balancers in Minnesota! ..
Want to Play and Eat Healthy Asian Food? Our culinary artist will make sushi and healthy spring rolls. 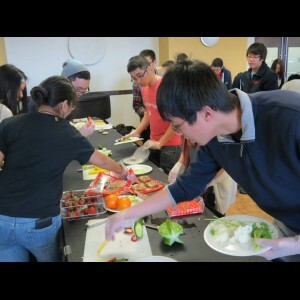 Students will have fun tasting different Asian snacks and will make/decorate simple rice rolls and hear about the Asian rice cultures. .. 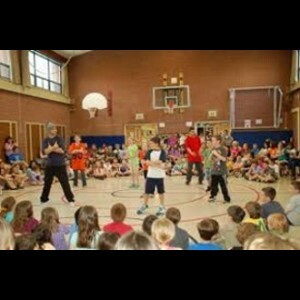 Treat your class to an unforgettably fun experience that'll leave them feeling empowered, inspired, and filled with giggles! We all know that children love balloons. Imagine the smiles when they're holding their very own balloon animal that they’ve made for themselves! 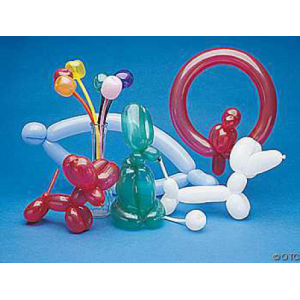 In this program, Jason Bliss arrives with hundreds of pre-inflated balloons and guide your group through an entertaining, engaging, and easy-to-follow intro to balloon twisting and the fine science of “balloonology”. 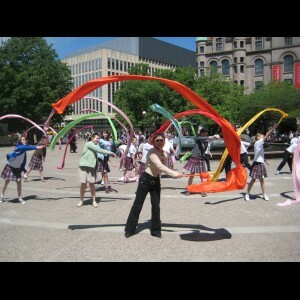 Y..
Professional Chinese dancer, choreographer and instructor, Lisa Veronneau teaches how to make traditional Chinese ribbon wands and then everyone joins her in a fun and colorful ribbon dance class. ..
Have you ever wanted to join the circus? Dance like no one is watching? or simply learn a new skill to share? 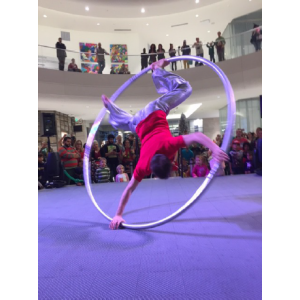 This entertaining program is designed for kids of all ages and abilities, to explore different ways of playing with a hula hoop. This classic toy has recently resurfaced as a tool to foster creative dance, while also improving balance and coordination. Not to mention, we have a lot of fun with them too! Hooperina uses her hula hoops to engage participants in a variet..
Child specialist, Randy Christensen, combines physical comedy, slapstick, skits, juggling and illusions to help children realize that higher education makes it possible for people to help others! Children are challenged to set higher goals academically so they can make a difference in this world. Bio: Randy Christensen is a professional entertainer and speaker known for his creative and inspiring presentations. As a variety artist, Randy has been presenting programs for more th.. Looking for something that feels like being a human gyroscope? Or feels like having your own self sustainable roller coaster ride? If you answered yes, then this workshop is for you! Introducing an art form under twenty years old and growing worldwide, I give you the cyr (seer) wheel! This well rounded workshop will give students the history, application, and direct experience of what it is like to create movement inside the cyr wheel. 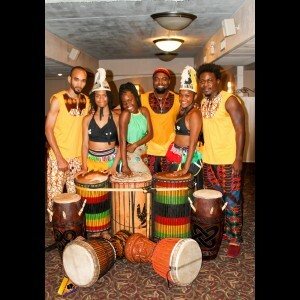 Along with live demonstration students w..
Duniya Drum and Dance exists to build a diverse community in support of the arts of the African Diaspora, specifically drum and dance. Lead by Mast Drummer Fode Bangoura, Duniya brings a high energy interactive performance that celebrates the joy and passion of West African Culture. 4 - 6 performers .. Through interactive games, songs, puppetry and storytelling, children engage in an imaginative adventure where they explore and role play the cycles and connections of nature. Captain Compost and Miss Celium create a silly and playful atmosphere where children learn simple ways to help care for the environment in their daily lives. Length of Program: 1 - 2 hours Recommended Ages: 5 – 15 yrs Recommended Group: Size: Up to 40 .. In this hands-on workshop students will learn how to use two of the props used in traditional Chinese dance – the fan and the handkerchief. 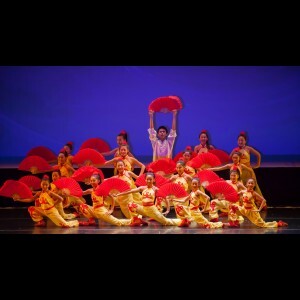 World-renowned choreographer and teacher, Ying Li will bring the props, traditional Chinese music and video of her dancers in action to lead an engaging and entertaining introduction to Chinese culture through dance! .. Global Games Mr Fun has been teaching kids how to play for almost 20 years! His very popular program, "Global Games", teaches kids about world cultures through a wide variety of skill toys and games from different countries. He provides a brief history and demonstrates each, brings up volunteers to show how easy they are to learn and concludes with everyone playing with plenty of toys for everyone to try out. Global Games helps kids develop skills and self esteem whi..
A God's Eye is a traditional Native American weaving and spiritual object dating back centuries. To the people of Mexico, the practice of creating a God's Eye, or "Ojos de Dios", in Spanish, symbolizes the balance between nature and Creator. In this workshop, students will learn about the history of this fascinating and ancient art form and each will make their own to take home! All materials will be provided. Length of Program: 1 - 2 hours Recommended Ages: 5+ R.. The art of break dancing transpired in the late 1970’s as an element of hip-hop. The infancy of hip-hop culture evolved as a peaceful movement within the streets of New York City and is now practiced worldwide. In this course students will learn the history of break dancing and it’s fundamental movements while allowing room for creativity and personal expression in a structured environment. The program will begin with an inspirational performance and end with a dance party where ki..
KidPower With Rachael Show- a unique, one of a “Kind”, educational, empowering music and live animal show that focuses on the power of Kindness. “Kidpower is the power to be Kind to ourselves, to each other and to the whole planet.” Interactive Music Live Instruments Dances Naturalist - Live Animals (chinchilla, 2 different lizards, guinnea pigs, bearded dragon, bull snake, tarantula) Juggling Balancing Acts Puppetry Animal Masks with Songs (ie: "Lion Sleeps Tonight"..
Kevin Hall, (Semifinalist - America’s Got Talent!) presents these amazing shows. They include comedy, magic, wacky escapes, appearing students, choppers, psychic babies and even floating teachers! (ask about optional Balloon Spectacular) You get 5 shows to choose from: Magic Maniac Show - Kevin turns the kids into stars with tests for the strongest, smartest, bravest & nicest kids in the world! The “Giant Wand” finale has to be seen to be believed! Kids Ma..
A hysterically fun magical circus show. 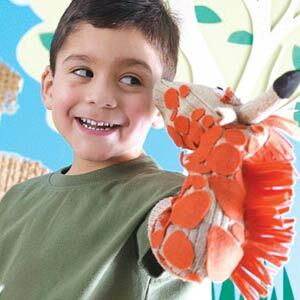 Youngsters giggle and are amazed at the performing antics and magic stunts of these stuffed animals. Your ringmaster, Mr. Norm, is a funny fellow with a comical flair that brings the beanie elephants, rabbits, cats and dolphins to life as they appear to do unbelievable magic. The children are all involved as they help make the magic happen with magic words and a wave of their hands. 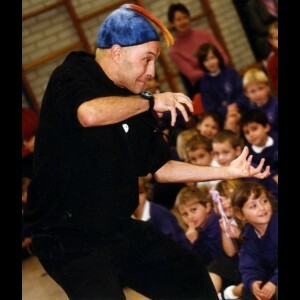 Your jaw will drop at the vanishing and appearing elephant, the floati..
Children's recording artist, Mister Jim, takes the younger ones on a lively, highly participatory trip in to the wonder of laughter, imagination, playful movement and singing from the heart! 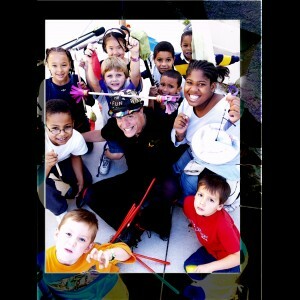 With guitar, woodland flute and instruments from around the world, Mister Jim captivates his young audiences with messages of sharing and caring for each other and our neighbors, near and far away! 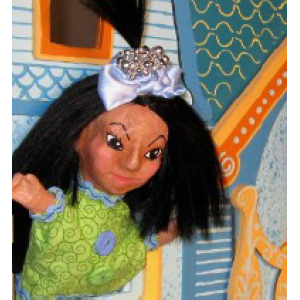 ..
Puppetry is an ancient art found in cultures all over the world. Kids will make various kinds of puppets such as rod puppets, hand puppets, shadow puppets, toy theater, clay mold or cardboard construction masks. They'll learn to tell a folktale, develop poetry, explore science, and create their own stories and performances! 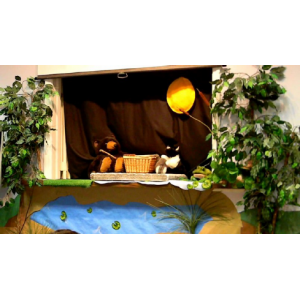 Length of Program: 1 – 4 hrs Recommended Ages: 5 - 15 yrs Recommended Group Size: Any size ..
Scroll down to see all of our Puppet Shows! Puppeteer, Allison Tobi Daniel Little Wonders - Tobi Daniel A tiny man makes an epic journey, a little boy finds a mysterious trunk, a hat and jacket come to life, all this and more in this collection of pieces by One Flea Circus. This Show uses marionettes, hand, rod, and even found object puppetry to create worlds of transformation and delight. 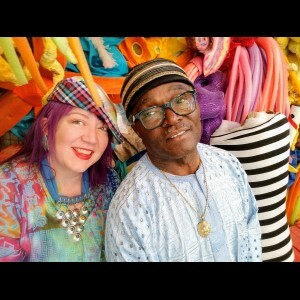 From spellbinding to hilarious, using music and visual storytelling this show is captiva..
Feel-good sounds from the Heart of Africa Back in Africa, Siama Matuzungidi toured the world and recorded hundreds of songs with popular soukous artists. Now a McKnight Fellow based in Minneapolis, Siama and his wife, storyteller/singer Dallas Johnson host fun library programs where kids sing catchy songs in Kikongo, Lingala and Swahili, hear cool stories about Siama's rural childhood in western DR Congo, play hand percussion instruments, watch puppets, try African yodel.. So You Think You Can or Can't Dance? This interactive workshop is an introduction to a variety of dance styles ranging from polka to hip hop. Dancing history, theory and reasons why we dance are briefly discussed before the real fun begins. Class will be progressive and freestyle forms under the umbrella of hip-hop will be emphasized. This will give more focus and make it easier for students to create dance routines in groups of 3-4 towards the end of class. Side effects include increased confidence, expanded .. This workshop ties together the fabulous diversity in Asia with various dance styles, ranging from North Asian Classic to South Asian Bollywood Style, along with slides and real dance demos. Through these simple dance demonstrations, students learn about other cultures, particularly the Asian traditional arts, geography, and customs. We offer a number of performance options of different lengths and complexity. These can range from one hour with a 3-5 dancer team demonstration to a full two-hour ..
Storytelling is an ancient art form, shared by all cultures, conveying fictional or non fictional events as a means of education, cultural preservation in order to instill positive moral values. Our storytellers are skilled at reading stories straight from a book or, better yet, tell original stories that take kids on magical journeys, delighting every audience with mystery and wonder. Kids are fully engaged and laugh as they anxiously wait to hear what happens next... Some stories..
Taiko is the Japanese word for drum, and refers to the modern style of playing these drums. 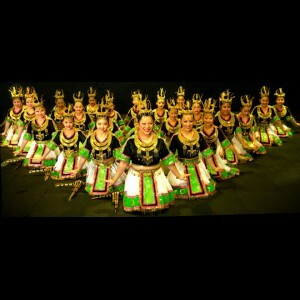 It is heart pounding, high energy, and a dynamic combination of music, dance, culture, and athleticism. 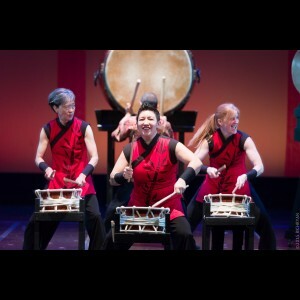 This 45 minute program includes 3-4 songs performed by 3 musicians, who also teach the about the drums and their traditional and cultural roots of Japan. The interactive portion is catered to the size and age of the audience. This is a video .. The Anti-Bullying Show – Randy uses his eye-catching, attention-grabbing methods to talk about the important values of respect, acceptance and kindness. Randy delves into the mind and motivation of bullies and shares positive practical ideas on how to handle bullying situations. Randy Christensen Bio: Randy Christensen is a professional entertainer and speaker known for his creative and inspiring presentations. 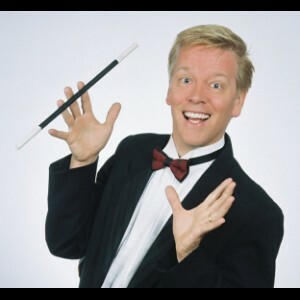 As a variety artist, Randy has presented programs for over thirty..
A children’s show featuring the multitalented Tom Strohmyer who is known as “Woody”. When not performing the “Wonderful World of Woody” show, Tom is busy raising his three boys and entertaining with the high-energy retro group “The Rockin’ Hollywoods”! Every show features Woody’s many talents, highlighted by music and sing-alongs, juggling, some rock & roll, a little magic, dancing and plenty of audience participation, all rolled into one nonstop interactive entertainment experience, sure to..
Titambe African Drum and Dance Ensemble was established February 2001 in Copenhagen Denmark as a multicultural performing arts organization. They have performed all over Denmark, in Amsterdam, Norway, Sweden, Finland, Germany, and various islands in Europe. 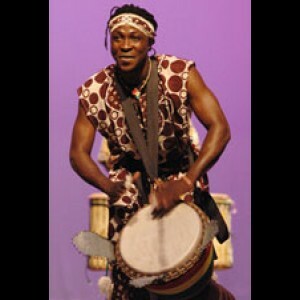 In 2003, the founder and artistic director Christian Yao Adeti relocated to the United States of America and formed another branch of the Titambe Drum and Dance Ensemble Company in Minnesota – Titambe West African Dance Ensembl..
Trash To Treasures is an extension of Global Games, using recycled materials to make skill toys. We teach, step by step, how to make toys such as juggling sticks, juggling balls, staffs, batons, or poi swings which they can take home and maybe someday pass on to their children... 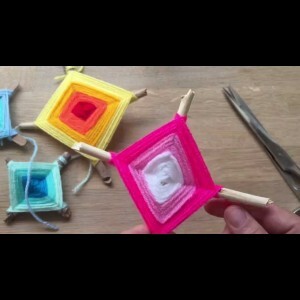 Kids are excited to make toys that they can learn and play with. Trash To Treasures is an excellent follow up to Global Games but can also act on it's own with just a brief presentation of each toy. ..
Ventriloquism is an art that dates back to the mid 1700's that appeals to all ages. We're always amazed to see it performed and the attention is always on the "dummy". 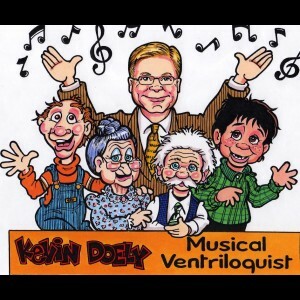 Our highly talented ventriloquists use a variety of characters and will have everyone rolling in their seats! Kevin Doley... Would you like something different for your next event? How about a ventriloquist? Audiences are laughing out loud at Kevin's life like vent figures and puppets. He us.. KIDS ARE THE ROCK STARS When they clap, dance and sing with Will Hale. The kid tested and parent approved family concerts of Will Hale and the Tadpole Parade create a fun atmosphere filled with plenty of audience participation, excitement and energy. 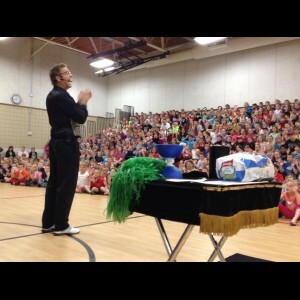 Will Hale performs for 1000’s of kids every year. As a full-time kid’s musician since 1990, Will focuses on engaging kids in direct personal experience to gain useful life skills. 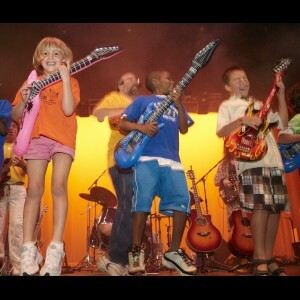 Will Hale offers exciting concerts for kids and famili..
Grow from a seed to a tree! Shine bright like a star! Jump around like a frog! Make some monkey noises! Keep your focus sharp like an eagle and then move swift like the wind! Participants will use their creative imagination; experience cooperation; explore relaxation after movement, and have a fun time in the process! 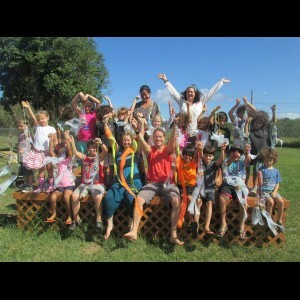 This is a great way to introduce the worldwide art of fun yoga practices to kids and perhaps inspire the kid in you. Classes are tailored for all ages, family and friends. .. Wearing beautiful Hmong Ceremony Costumes, we will take you through a journey with color and textile to portray the Hmong Wearable Arts (Embroidery/Ethnic Garments/Dance Costumes, and Story Clothes). 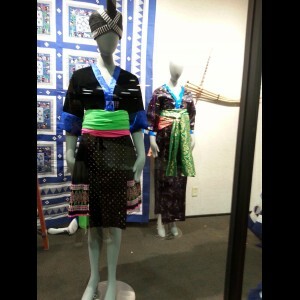 Each Hmong subgroup costumeis different and highlights each tribe’s identity. Through lecturing, costume demo and a slide show, our workshop examines the transformation of Hmong costume from China, Laos, and Thailand to the United States and how it has changed and integrated with both traditional an..